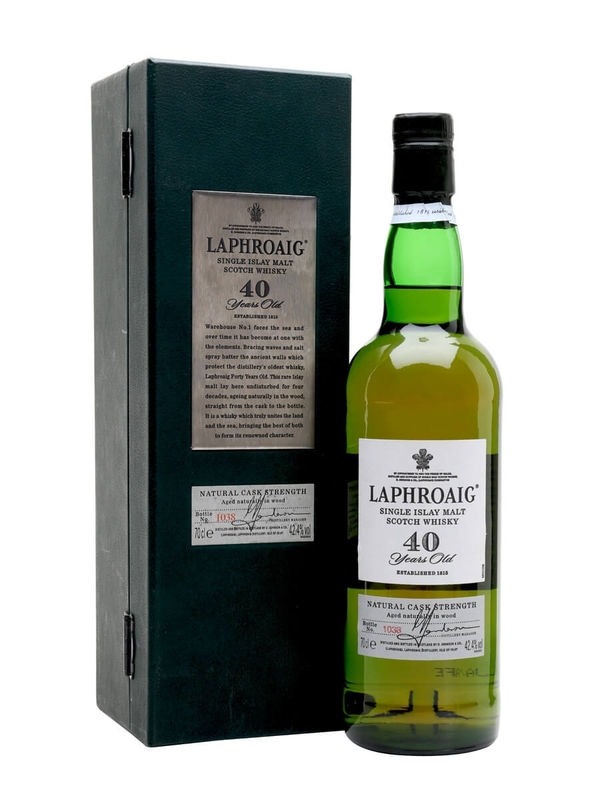 The oldest distillery bottling of Laphroaig, aged for 40 years and bottled at a cask strength 42.4%. Rare and much praised by the whisky community, picking up an average rating of 90/100 from the Malt Maniacs. I bought one in the early 2000 and opened it 2007 when I turned 40 years old. Wery nice and sophisticated taste.